Around 10,000 people across central government work to protect public services and fight economic crime. 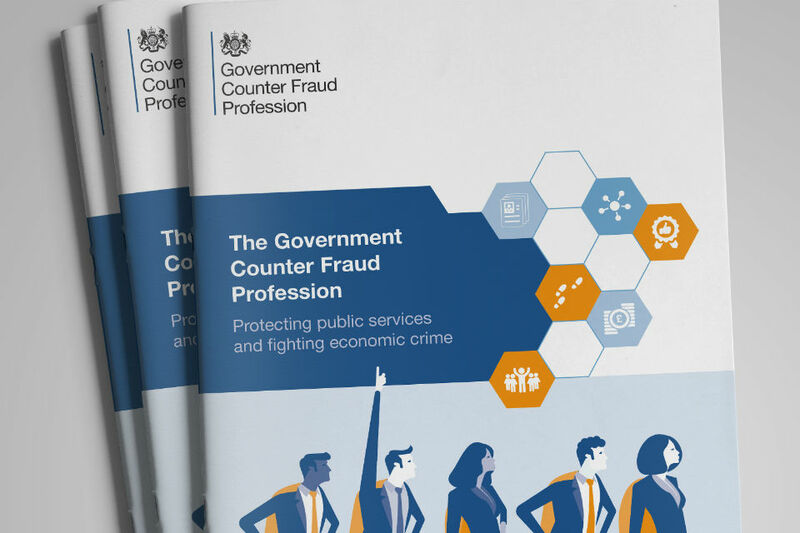 On 9 October, the Government will show its commitment to fighting fraud, and to the specialists who lead us in this fight, by launching a new profession - the Government Counter Fraud Profession. 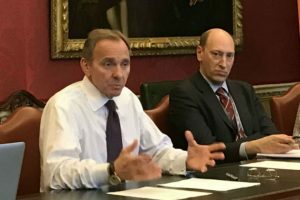 In May, I spoke to counter fraud specialists on the Advisory Panel developing the Government Counter Fraud Profession (GCFP) about the importance of their work. If I wasn’t already aware, it didn’t take long to realise that fraud can be a complex area, demanding highly skilled people to fight it. Fraud is a peculiar crime. By its very nature, it is hidden and always evolving in response to changes in society, such as advances in technology. It is also a constant threat to both individuals and organisations in all sectors. In the public sector, fraud damages the services we provide that people rely on, and it can quite often ruin lives. To fight it, we’ve got to find it; and to find it, we’ve got to build the right counter fraud capability across the Civil Service. This transformation is already underway. We’ve already agreed on the Professional Standards and Guidance that will underpin the GCFP, and seven central government organisations have had their learning programmes assessed against them. This will pave the way for the first 1,822 members to join the profession later this year. Meanwhile, organisations engaging with the GCFP have also started sharing their learning programmes and developing joint products for their staff to benefit from. This is what building capability looks like, and it is all the more impressive that over 100 organisations, from multiple sectors, have contributed to building the new profession. Thanks to this work, and other counter fraud initiatives across government, we are actively finding and preventing more fraud. In 2016/17, we detected fraud worth £116.5 million - that’s £85.7 million more than in 2014/15 - after we agreed a standardised way of measuring fraud across government. Where we are able to identify this fraud, we can attempt to recover losses, or make the changes needed to prevent it from recurring. This is great progress, but the size of the challenge is still big: fraud in the public sector is estimated to be between £31 billion and £49 billion. These figures are a graphic reminder that investing in those leading the fight against fraud is not only right, but necessary. Our counter fraud specialists are operating in an increasingly challenging environment. This is why we have developed a professional structure that recognises the complexity of their work and empowers them to develop their careers in counter fraud. Only by creating this real community will we see knowledge, skills and experience in areas such as risk management, investigation and bribery & corruption develop and permeate throughout the Civil Service. This is what we mean when we talk about a brilliant Civil Service, and building the skills and awareness we need to be one. Our counter fraud specialists can lead the way on how we deal with fraud, but everyone has a role to play in the fight against it. With the launch of the Government Counter Fraud Profession, we will be able to see what expertise looks like and where it sits, and it will help us get it to the right areas. It will also help our people get the best from their jobs and their careers. It is good news for the counter fraud community, good news for the public sector and bad news for fraudsters. By building public sector counter fraud capability, we’re making it much more difficult for them to operate in the UK. The profession has been built by the experts, for the experts - and has been a huge collaborative effort, led by a cross-government group who are passionate about developing counter fraud capability. Public sector organisations came together to build the GCFP because they knew that, without doing so, the public sector would be left vulnerable. This is their profession, and through its evolution they will lead us all to find and prevent more fraud. 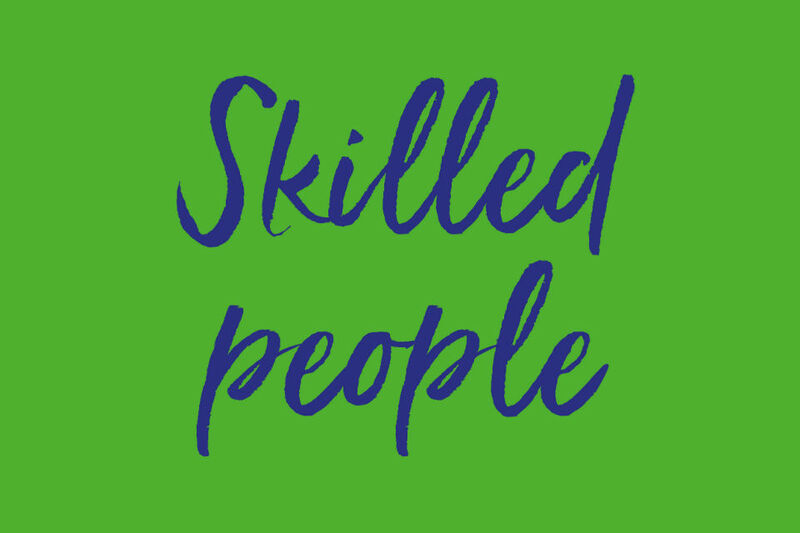 The GCFP adds to the expanding range of professional expertise that the modern Civil Service brings to bear on the challenges it faces - making sure we have the skills we need, where and when we need them. I will be following the development of the profession - and the fight against fraud and economic crime - with interest. Don’t worry if you don’t work in fraud; fighting fraud is everyone’s responsibility. Refresh your counter fraud knowledge by re-visiting the counter fraud, bribery and corruption training, for all staff here, and for managers here. Really interesting article covering GFCP - the Counter Fraud Function across Public Sector for all Govt Depts has never been so important. Thanks for your support with the profession, fraud is something we can all work at reducing. My partner worked as Fraud Officer for over 40 years and set two court precedents. Sadly the long service impacted on his health. 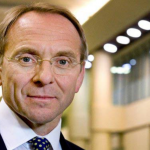 I don't know of any better 'unqualified' expert in DWP benefit fraud of his era. You certainly could not beat his professionalism, dedication and humanity when dealing with customers. I hope the course teaches that too. You make a very valid point which, as an investigator of 25 years' standing, I personally appreciate. We have included a whole strand on wellbeing and resilience to recognise the impact of counter fraud work on those within the profession and providing some tools and support to help members in their work. How to apply for this new role ? Thanks for your interest in the counter fraud profession. loved reading this .. so interesting. Thanks for your comment. Glad you found the article interesting and thanks for your interest in the profession. Very interesting article. Very important subject, glad to see this. Would like to work in this environment. Thanks for your comment. We are very glad that you enjoyed the article and that you have an interest in the field of counter fraud. If you are thinking of working in this area, then Civil Service Jobs regularly has positions within the profession that you may want to consider. Interesting article that demonstrates the need for the Counter Fraud Function and the importance of continued professional development and a flexible approach. Thanks for your comment. We're pleased that you found the article interesting. A flexible approach has been essential when developing the profession because of the very wide range of work and organisations it covers. We have worked very closely with those in the field to build a profession that reflects this and offers choices to members. £31 to £49 billion in the public sector? Does that include local councils - and is that an annual figure? Yes, this is an annual figure, and yes, it does include local councils and losses relating to welfare fraud. Thanks for your interest in the GCFP. We want to create a profession that is as inclusive and diverse as we can make it. The wider the experience of those working in counter fraud, the more effectively we can tackle fraud. If you are thinking of a role in counter fraud, keep an eye on Civil Service Jobs were you will regularly find CF role. Are there any jobs that could be transferred from work eg HMCTS? Totally agree its importance but it is very difficult to get into without the qualification and experience (sound familiar?) which is a pity. Looking forward to its development as I approach retirement. Thanks for your interest in counter fraud. As part of our work on the profession, we are developing career pathways that will make it easier for those who are interested in working in counter fraud to enter and progress within the field. Any fraud is unacceptable, but its worth remembering that the UK does well in surveys measuring fraud and corruption, compared to other countries. You are right in saying that the UK compares well to many countries in regard to counter fraud, which is a reflection of the skills and knowledge of those working in this field within the public sector. However, there are still opportunities to improve on this and further reduce loss to the public purse caused by fraud, and we hope the launch of the GCFP will contribute to this. Another area that is extremely important that impacts the public purse negatively. Lets hope people with the skills, background and longevity of expertise in ex-IR and ex- Customs through to HMRC are given the support to apply their knowledge and experience to these jobs, whenever they are available. I work on Tax Credits (TCO) - we experience error / fraud quite a lot. From the simple to highly complex organised attacks. I'm sure my colleagues and I would welcome the opportunity to share our information and skills wider and vice versa. Please invest in the systems and process needed for this to happen, even if it's only a few liaison officers for each "branch". Can you give me contact details as I'd be interested in this type of work. Would be good if us up north could experience work in this area as our building due to close and unable to transfer to Longbenton. Sounds like a very interesting subject and would love to bang a few fraudsters to rights. Can you give me contact information as I would be interested in applying for this type of work. Roles within the profession sit within individual departments, so keep an eye on Civil Service Jobs for fraud-related positions. A lot of tax fraud starts with the ease with which people can set up a company at Companies House - no checks there whatsoever. This is such an important article at an important time, This should be an all inclusive fight. What the government needs is a multi-disciplined, cross-department fraud unit. This should cover welfare, tax, procurement, internal, revenue, tenancy, NHS, etc. frauds. This way we can ensure a consistency to tackling these crimes and ensure better use of The Fraud Act. Fraud prevention has always been a subject I have felt strongly about. Where does one apply for these roles? Can I just confirm the figures that I am reading please? Fraud is estimated to cost the public sector between £31 billion and £49 billion of which about £116.5 million is detected. A detection rate of 0.2%-0.3%? The intention is to employ 10,000 staff at a cost of may be £500 million a year to bring this detection rate up. Is that right? I have no doubt the amount detected will go up considerably but am just checking! I agree with Jenkins comment of the 13th of August and am interested in your response that you are "developing career pathways". Civil Service Jobs do have these types of jobs (CFI/anti-fraud) advertised, however I've bluntly been told (at the beginning of an interview for a job in this area) that they were looking for pre-qualified ex-Police detectives - and that was for a role which didn't specify prior knowledge/qualifications. As an example of how another organisation develops staff, HMRC will train you to qualify for tax legislation qualifications. We don't, and continually "buy in" trained staff from other organisations, rather than developing staff who already know the business; as such it is continually frustrating to see jobs advertised that specify qualifications that could not be obtained via CSL as the the only courses offered in this vein would seem to be 45 min e-learning packages which will mean little or nothing to CFI. As such I look forward with interest to when such "career pathways" are actually available, the qualifications they offer and their accepted utility by CFI type utility. Is the date of the 9th of October actually when these pathways will become available? This looks like a really useful qualification. I work in CFCD in Interventions and want to know if this qualification will be open to other arms of CFCD or is this just for Investigations?